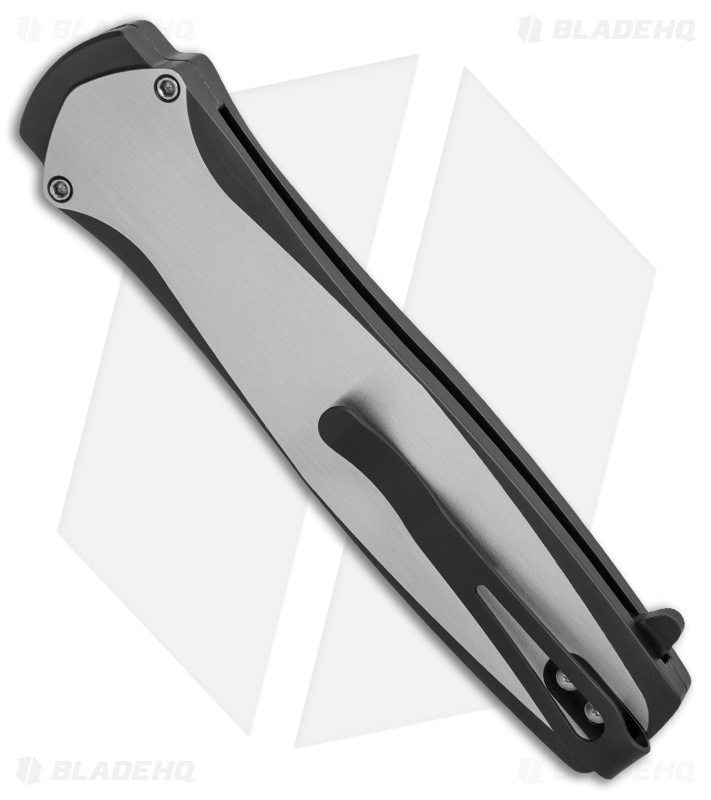 This 2017 Steel Custom Dark Angel from Protech is part of a numbered Run of 40 knives. 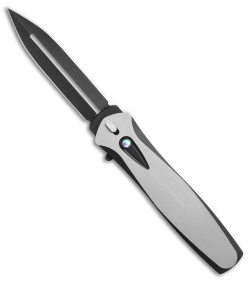 It features a black finished 154CM stainless steel blade paired with a two-tone handle made from solid 416 stainless steel. 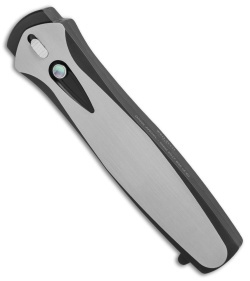 The knife comes fitted with a black lip pearl push button inlay and deep carry pocket clip. The Dark Angel is a beautiful knife with a sleek look. 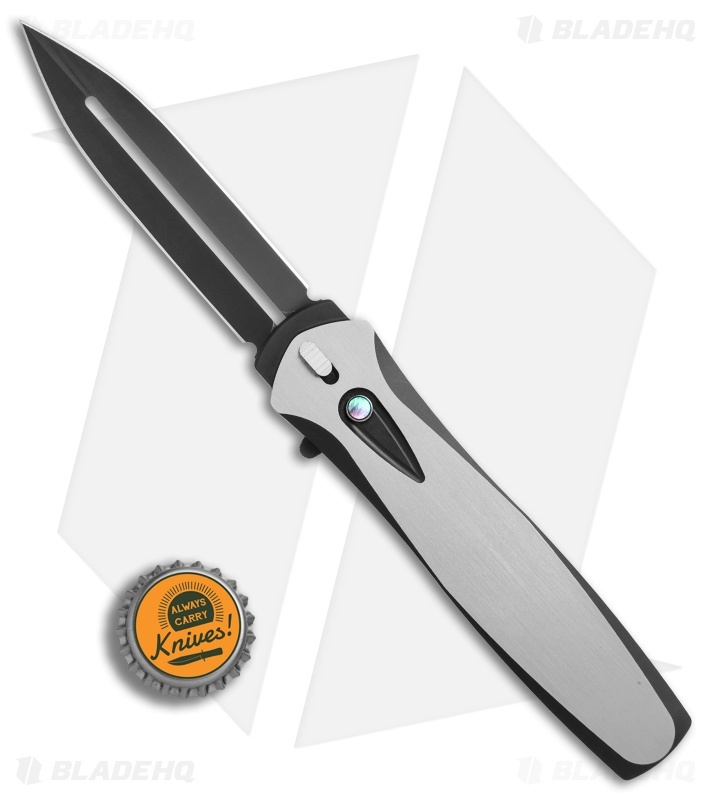 This single action out-the-front knife has great action that is quick and controlled.